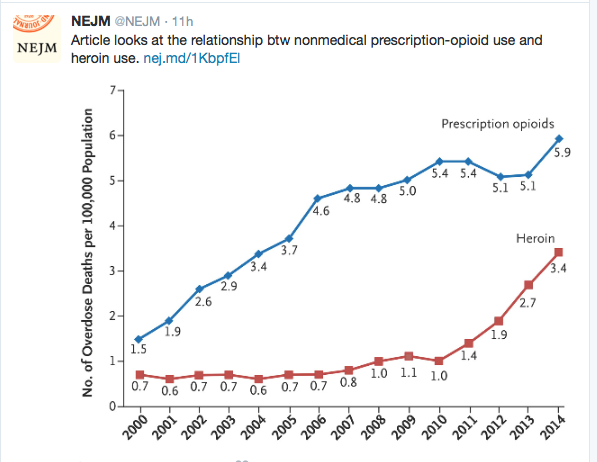 Fundamentally, prescription opioids and heroin are each elements of a larger epidemic of opioid-related disorders and death. Viewing them from a unified perspective is essential to improving public health. The perniciousness of this epidemic requires a multipronged interventional approach that engages all sectors of society. This entry was posted in General Health and tagged death, heroin, opiods by gutsandgrowth. Bookmark the permalink.